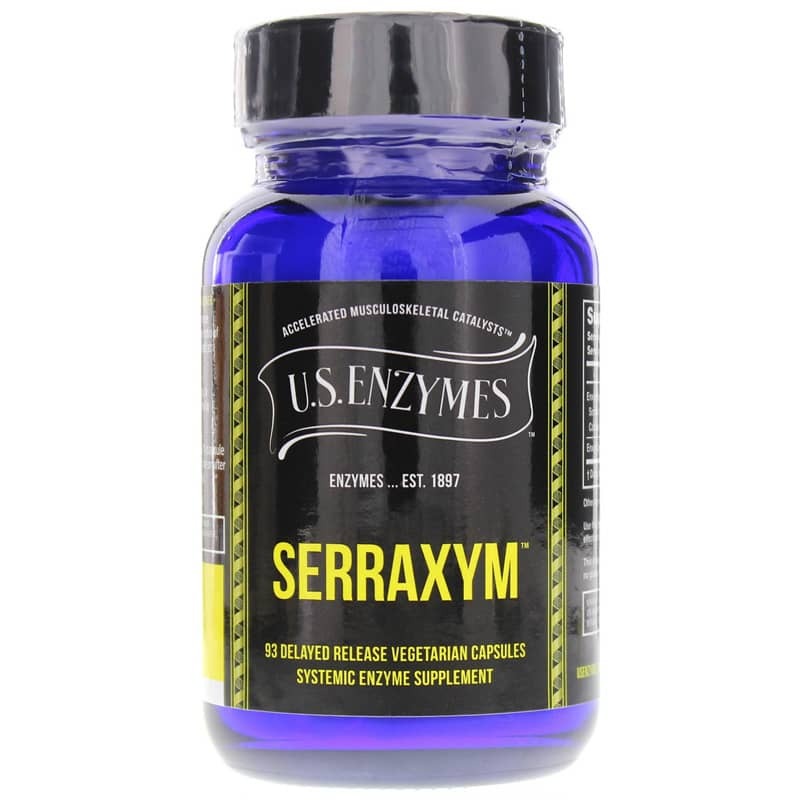 SERRAXYM Accelerated Musculoskeletal Catalysts from U.S. Enzymes contains a pure plant source of serratiopeptidase, a systemic enzyme that accelerates and supports musculoskeletal systems by promoting healthy muscles and joints. 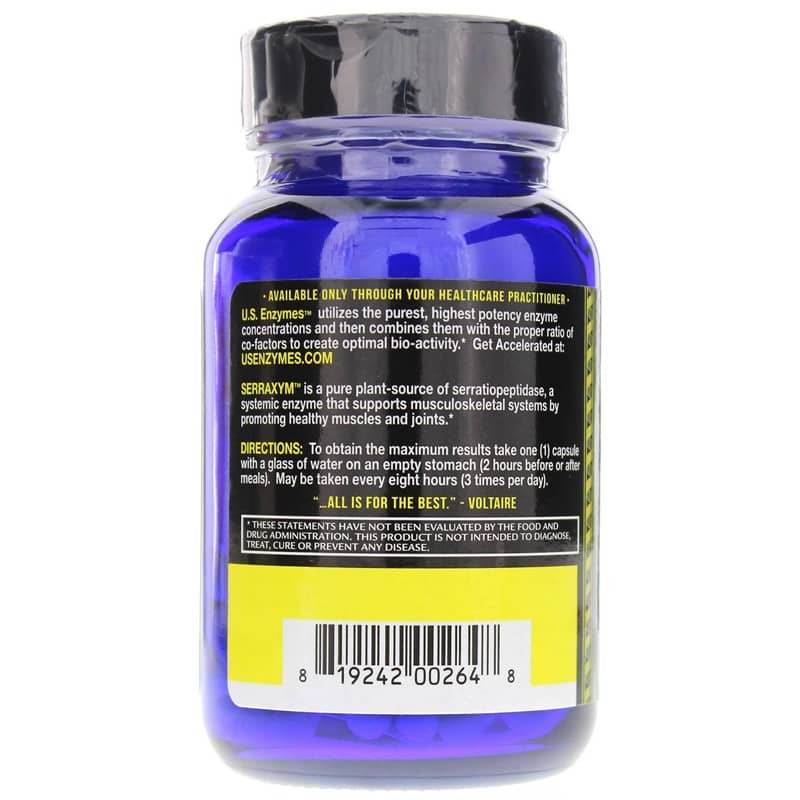 SERRAXYM is a blend of Serratiopeptidase and Catalase in a proprietary mineral base designed to enhance the effects of the enzyme actions. Adults: To obtain the maximum activity take one (1) capsule with a glass of water on an empty stomach (2 hours before or after meals). May be taken every eight hours (3 times per day). 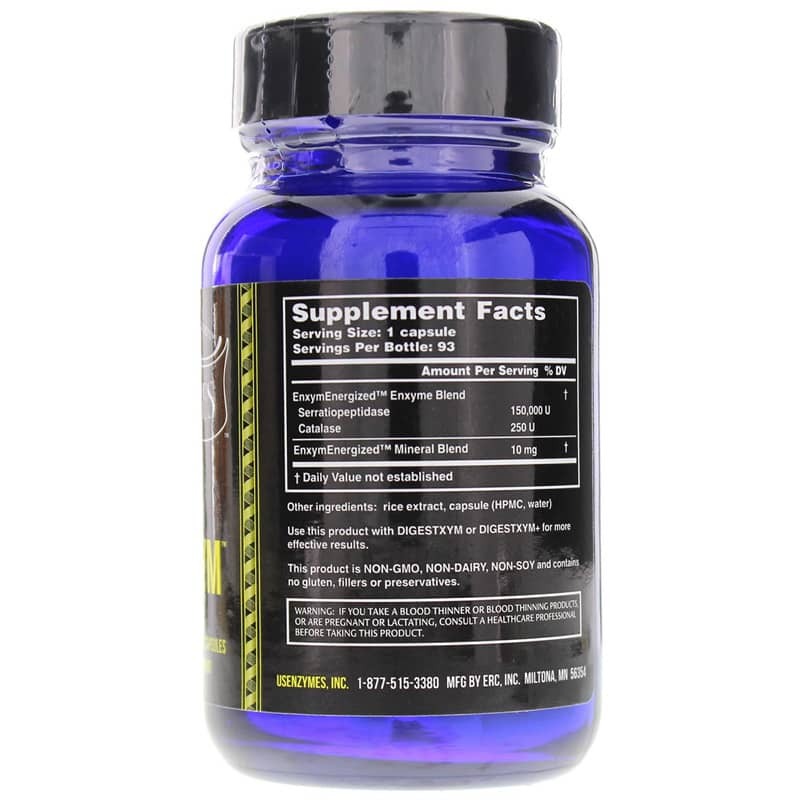 Use this product with Digestxym or Digestxym+ for more effective results.